Guidelines for engineering project management software reports. 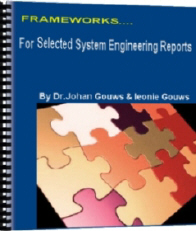 This ebook is intended as a report writing reference guide, from which ideas can be sourced about the typical structure and contents of commonly used system engineering reports. 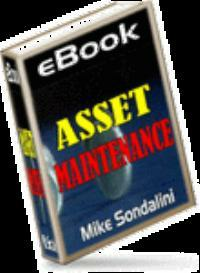 The ebook does not provide blueprints for all reports that a system engineer might ever have to write, but it provides guidelines which should be tailored and adapted by common sense and experience, in order to suit specific circumstances. The philosophy underlying this book is: contents follow structure - i.e. first carefully think about, and decide upon a report structure, and then systematically fill in the contents. When a report structure is defined first, the gathering of information becomes focused, and unnecessary material is either not collected at all, or it can be filtered out systematically. Each of these reports is briefly discussed in terms of its typical purpose and scope, followed by a suggested framework for the report. About the Authors ... Dr. Johan Gouws holds the following qualifications: B.Eng. and M.Eng. (Electrical and Electronic), MBA, and Ph.D. Some areas of expertise include: Feasibility and re-engineering studies, system engineering, project management, modeling, simulation, and has been an expert witness in legal matters involving technical and management issues. Mrs. Leonie Gouws holds the following qualifications: B.Eng. (Mechanical) and M.Eng. (Engineering Management). Some areas of expertise include: Maintenance management for operational systems, computerized management information systems (SAP PM), technical writing and project documentation, and logistics engineering for new and existing systems.